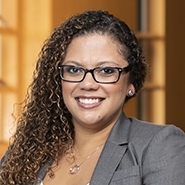 Kamilla B. Rodrigues is an associate in the Real Estate group. Kamilla represents developers, real estate investment companies, banks, financial institutions, and various other closely-held corporations in complex financing transactions, including commercial real estate and asset financing, guaranteed facilities, revolving credit facilities, and corporate financing. Kamilla also works on regulatory analysis, the launch of new businesses and products, working out distressed loans, documentation of restructuring arrangements and loan modifications. Kamilla works closely with clients on various types of corporate transactions, from negotiating and drafting merger agreements, stock purchase agreements, asset purchase agreements, shareholder agreements, limited liability company agreements, and formation and governance documents, to coordinating the due diligence and closing process. Before joining the Herrick team, Kamilla was a Commercial Real Estate & Finance and Corporate Associate at Pashman Stein Walder Hayden, P.C. in New Jersey.